Here is prank that's fun for the whole family! 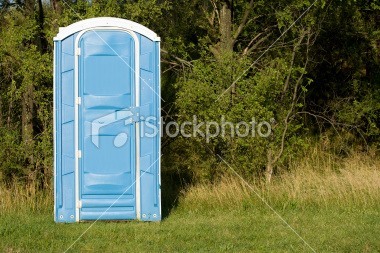 Each Jackass guy except for Wee Man gets their own Port-O-Potty, completely filled with all kinds of poo and filth. Wee Man gets one of those Human Hamster Balls that you get into, also filled with poo and whatnot. All of the shitters are lined up one after another, like a row of dominoes . . . but they are not on the ground, they are all on platforms that are 6 or 7 feet high (just so when it tips over, it REALLY tips over). Now, back to Wee Man. He is in the Hamster Ball which is attached to a cable and crane, like a wrecking ball. The crane swings the ball really hard into the first outhouse and then the rows of shitters tip over one by one. Poo flies, people cringe, people laugh. THE END.